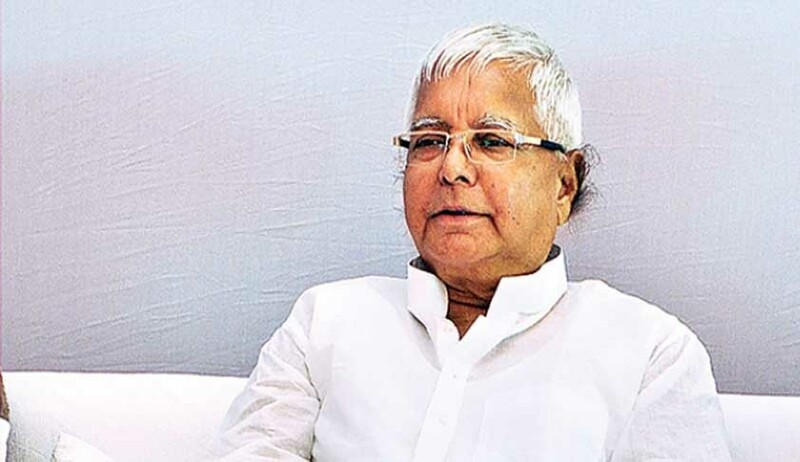 In a huge setback to RJD chief and former Bihar Chief Minister Lalu Yadav and two others, the Supreme Court today restored criminal conspiracy charges against him in a fodder scam case. Significantly a bench headed by Justice Arun Mishra also said "for each offence a separate trial shall go on against" Lalu Prasad. The Bench was hearing appeals by CBI against three separate judgments and orders of High Court of Jharkhand at Ranchi discharging three accused persons namely; Lalu Prasad Yadav, Sajal Chakraborty and Dr. Jagannath Mishra on the ground of their conviction in one of the criminal cases arising out of fodder scam of erstwhile State of Bihar. Applying the provision under Article 20(2) of the Constitution of India and Section 300 of Code of Criminal Procedure, 1973 , the High Court has quashed RC No.64A/96 against Lalu Prasad Yadav, four cases against Dr. Jagannath Mishra being RC Nos.64A/96, 47A/96, 68A/96 and 38A/96 and two cases against Sajal Chakraborty being RC Nos.20A/96 and 68A/96 on the ground that they have been convicted in one of the cases for offences involving the same ingredients with respect to Chaibasa treasury. Yadav had argued before the high court that he, having already been convicted for criminal conspiracy in a case, could not be prosecuted a second time. The main question for consideration in the case was whether in view of Article 20(2) of Constitution of India and section 300 Cr.PC, it is a case of prosecution and punishment for the “same offence” more than once. The Bench found that though there is one general conspiracy, offences are distinct for different periods. Question arises whether there is one general conspiracy pursuant to which various defalcations of different amounts have been made running into several years from different treasuries, by different sets of accused persons. Whether there could have been only one trial or more than one. "There may be a conspiracy in general one and a separate one. There may be larger conspiracy and smaller conspiracy which may develop in successive stages involving different accused persons. In the instant case defalcations have been made in various years by combination of different accused persons. Thus, there can be separate trials on the basis of law", said the Bench. According to the Court in the instant case, offences are not the same offence. "There can be different trials for the same offence if tried under two different enactments altogether and comprised of two different offences under different Acts/statutes without violation of the provisions of Article 20(2) or Section 300 Cr.PC.". The Bench observed that though evidence of general conspiracy has been adduced in cases which have been concluded, it may be common to all the cases but at the same time offences are different at different places, by different accused persons. "There was conspiracy hatched which was continuing one and has resulted into various offences. It was joined from time to time by different accused persons, so whenever an offence is committed in continuation of the conspiracy, it would be punishable separately for different periods as envisaged in section 212(2), obviously, there have to be separate trials. Thus it cannot be said to be a case of double jeopardy at all. It cannot be said that for the same offence the accused persons are being tried again". The Court also held that the modus operandi being the same would not make it a single offence when the offences are separate. Commission of offence pursuant to a conspiracy has to be punished. "If conspiracy is furthered into several distinct offences there have to be separate trials. There may be a situation where in furtherance of general conspiracy, offences take place in various parts of India and several persons are killed at different times. Each trial has to be separately held and the accused to be punished separately for the offence committed in furtherance of conspiracy. In case there is only one trial for such conspiracy for separate offences, it would enable the accused person to go scotfree and commit number of offences which is not the intendment of law", said the Bench. The Bench held that it is premature to raise the plea of issue of estoppel before evidence is recorded for different sets of accusations of different offences for different periods. "Then it is difficult to say that prosecution would be bound by the finding in a previous trial on a similar issue of fact and there may not be any contradiction if the periods are different and with respect to culpability for different periods and without fear of contradiction, separate findings can be recorded. In what manner the duty has been carried on for different periods would be the question of fact in each case and there is no question of double jeopardy in such a case", said the Court.